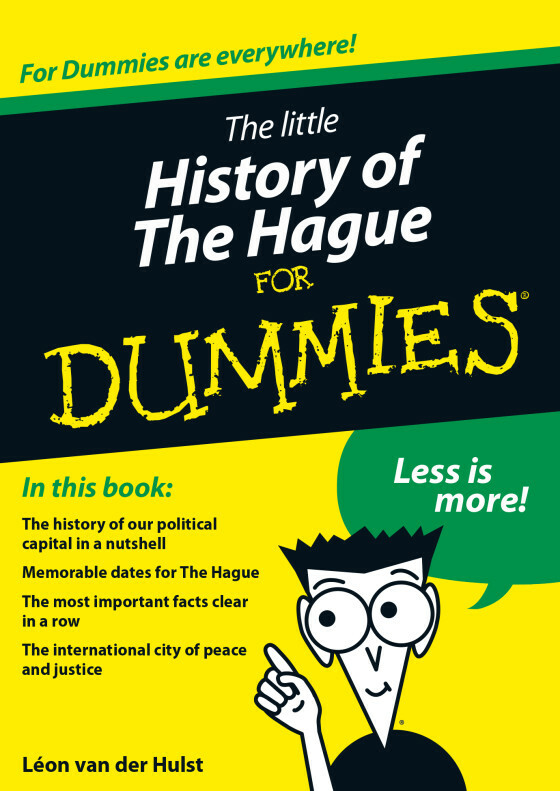 Adding to the Dummies franchise of books is a new historical reference guide to The Hague. Written by Leon van der Hulst and translated by Barbara Stuart, A Little History of The Hague for Dummies is a pocket book of 159 pages encompassing 6,000 years of life in the political capital of the Netherlands. Despite its size, it adheres to the traditional Dummies format with the familiar icons and concluding with a list of 10 interesting facts. History books usually read like storybooks. They are, after all, a tale of events that have taken place over long periods of time. The For Dummies reference guides generally target an audience seeking a basic understanding of a topic. As such, The Little History of The Hague for Dummies is successful in highlighting all major developments in the city’s history. The chapters are short and include interesting tidbits on local people and topics that enhance the reading experience. The downside of this book is that the disjointed structure and paucity of information makes it difficult to get a clear grasp on the themes and events that have taken place. Adding to the confusion is the repetition of some details, the fact that the kings had the same name (different number), and the sheer mass of the significant events that demand inclusion but are restricted in length to a few short sentences. Nevertheless, while a tourist guide will give descriptions about specific buildings, this book provides an opportunity to dive a little deeper into The Hague by offering some historical facts about what happened within its boundaries. The Little History of The Hague for Dummies is a pocket size guide to the history of the city. For readers who love their history books, it will whet your appetite to learn more. Tourists will attain a deeper understanding of the city using the guide then possible from travel guidebooks. And for the non-Dutch reader living in the Netherlands, the book will equip you with sufficient knowledge to participate in many discussions about the city without sounding like a total twit.